The Gabarron Foundation, together with Fundación Murcia Futuro (FMF), and K/R Architects from New York, is pleased to announce an international sculpture competition taking place in the Spanish city of Murcia on the grounds of the future Parque de Levante-the first major sculpture park to open in Spain in the twenty-first century. All international artists and designers are encouraged to participate in this unique opportunity to showcase their work. Award prizes range from 3,000 to 24,000 euros. 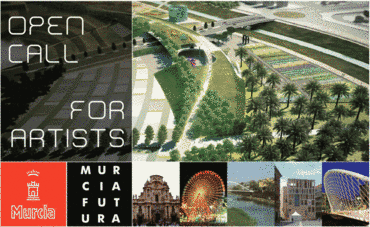 The objective of the competition is the selection of five unpublished and original sculptural proposals to be placed in the future Parque de Levante of the city of Murcia. All international artists may participate in this Competition, regardless of his/her place of residence. Participation may be individual or collective; in the latter case a designee should be chosen as a representative of the group. Each of the participating persons or teams may submit a maximum of one proposal. Please go to our website for further information and rules of the competition. Dec 21, 2012 at 12 Noon, EDT. In January of 2013, FMF will consider the sculpture proposals and make a decision.